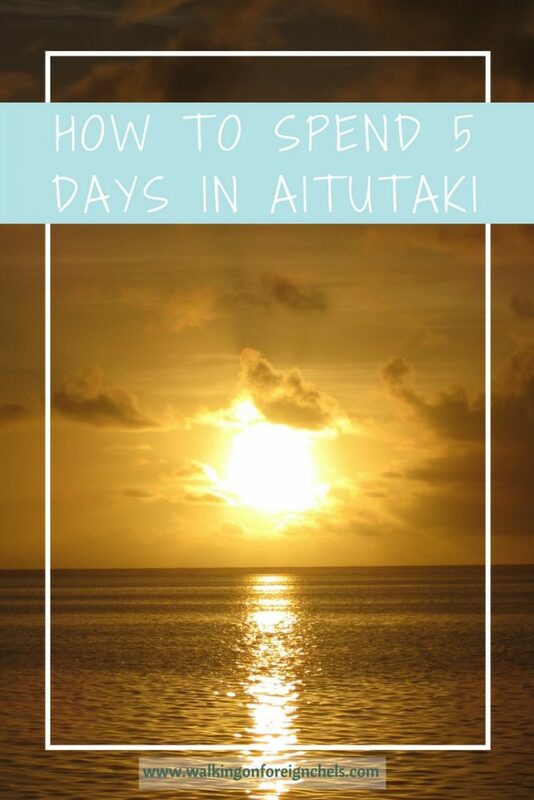 Aitutaki is a beautiful island within the Cook Islands and is only a short flight from the main island of Rarotonga. 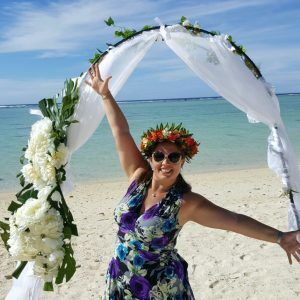 We went there in March 2017 for our honeymoon after getting married on a gorgeous white sand beach in Rarotonga (thanks for your congratulations haha!). 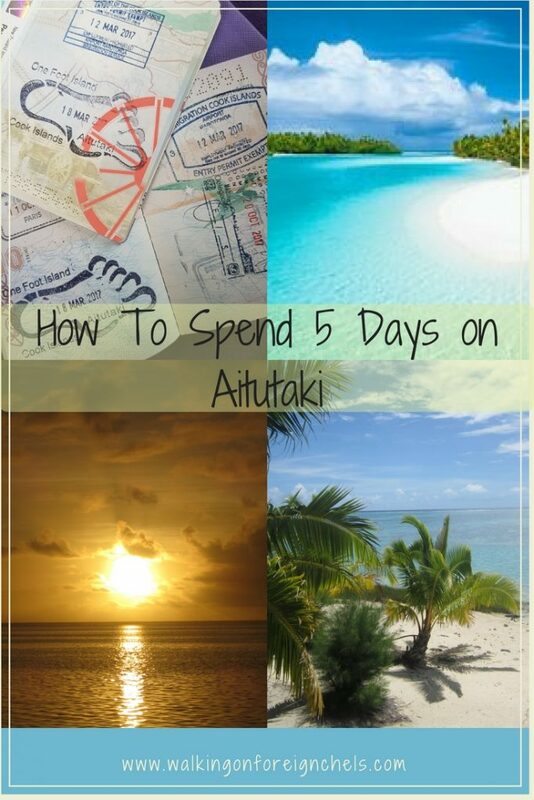 While planning the trip we thought 5 nights would be a good amount of time in each place but when we got to Raro and began talking to people, we were asked the same question – Why so long? Apparently most people only go for a night or two or even just a day trip! So even though the island is tiny, there are a few things to do and we found that we didn’t have enough time there, could have quite easily stayed a few more nights. There are a number of smaller islands to visit and these can be reached by paying for a tour, which we did or by water taxi. We didn’t find out about the water taxi until we arrived on the island and realized we could have gotten out to the places we wanted to go on our own, instead of paying for a tour. Snorkelling/Island Tour – We went with Teking Lagoon Cruises for both of the tours we did. The first day was a proper guided snorkel tour. The boys took us out to feed and snorkel with the Giant Trevally, which was incredibly intimidating but still pretty amazing. There was also an enormous, and incredibly shy, Humphead Wrasse (also known as the Napoleon or Maori Wrasse) who dashed in for some food before disappearing into his hole again. From there we moved onto see the Giant Clams and some more coral and cool fish. We spotted a Star Puffer and an Octopus amongst the clams, as well as beautiful reef fish. Next we headed to Honeymoon Island to walk around while the boys got the BBQ lunch set up on nearby Maina Island. 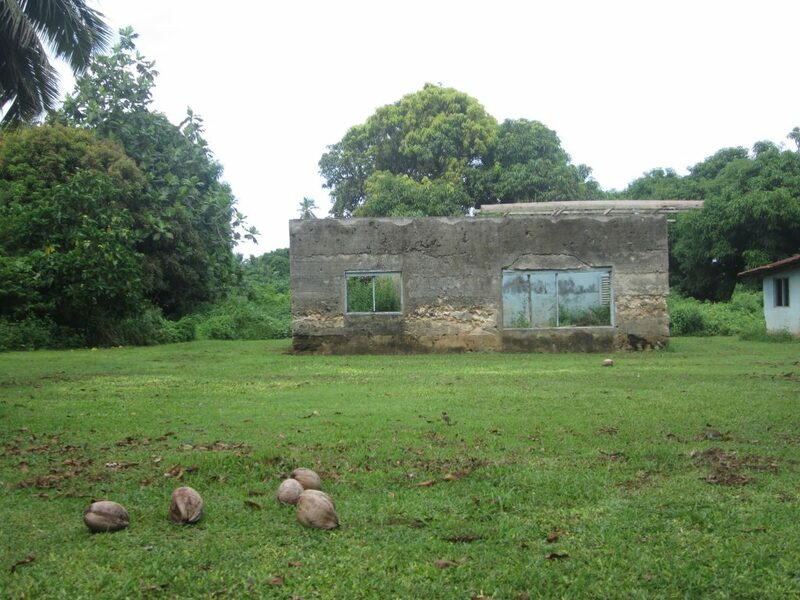 Lunch was amazing, we had chicken, fish, loads of salads and fruit served in giant clam shells; all at a purpose-built hut on the island with picnic tables underneath. After lunch we headed off to One Foot Island and got caught in a huge downpour on the way. 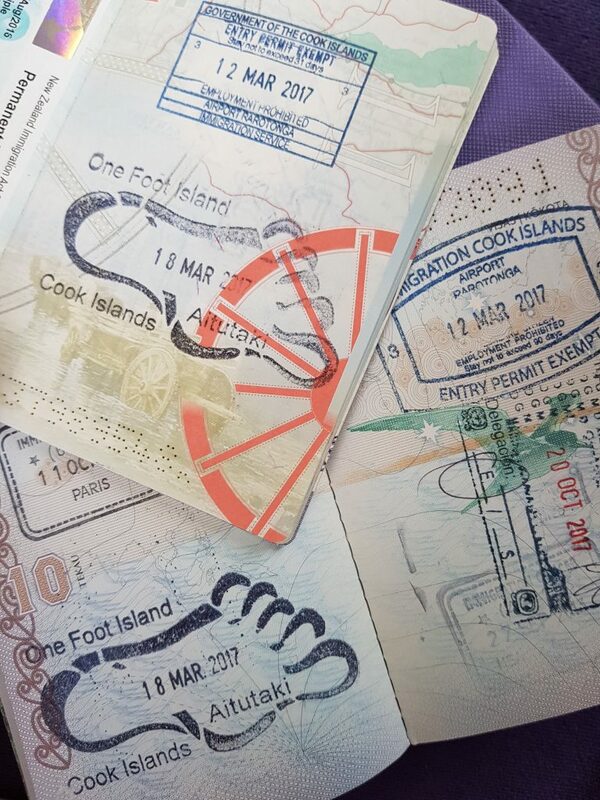 There isn’t too much at the island, there are a few buildings which I don’t think are in use anymore and you used to be able to take your passport to the post office there for a stamp and the chance to send a postcard but that doesn’t seem to be there anymore either. Not sure if they’ve closed or if it was just off-season, either way, our captain stamped our passports for us :). We had a chance to snorkel here as well but there really wasn’t much to see except for the baby clams that are being bred there, we didn’t really explore the island either but I think some people from our tour did. We also heard the legend as to why the island is called One Foot Island, which I’ve included further down for you! After that we headed on back to the main island to call it a day. 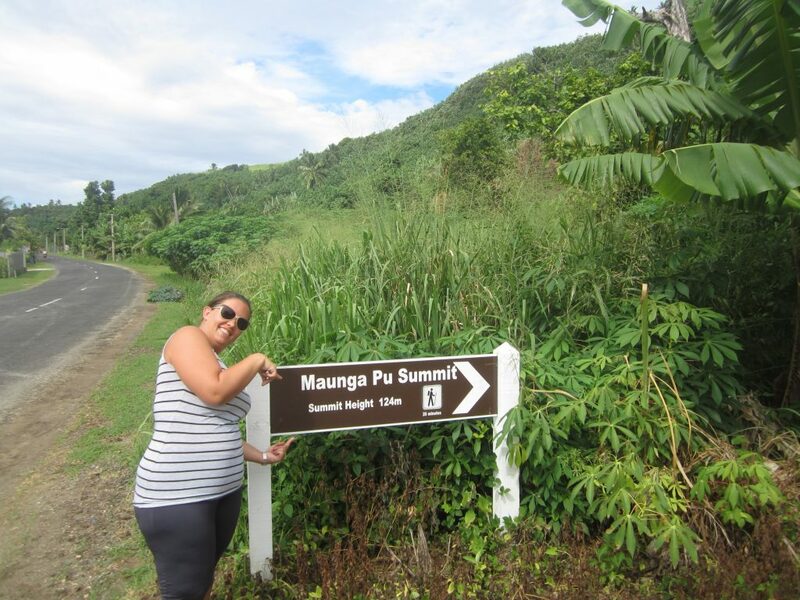 Visit Paengariki Marae – A 1,000 year old archaeological site hidden away on the island. 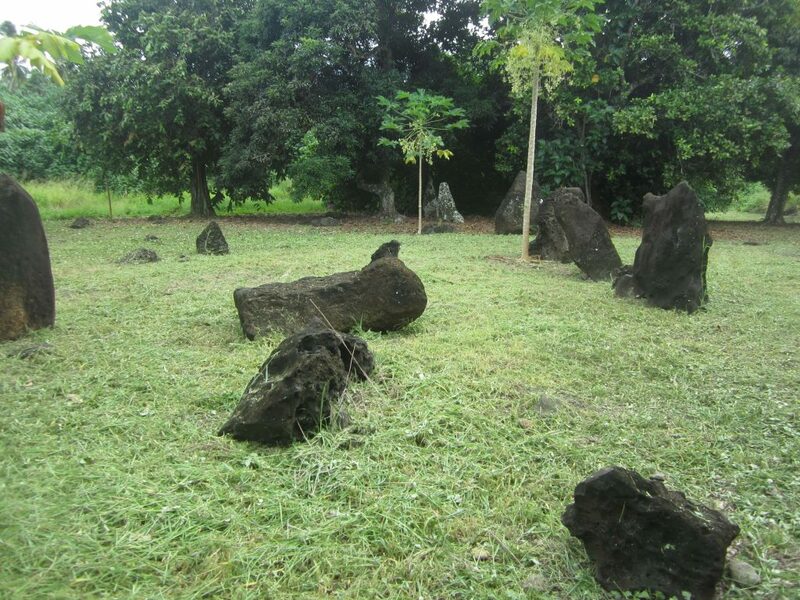 There isn’t too much there, just some stones that have been arranged in a way that would have meant something but unfortunately, there is no information at the site to explain what anything was. It wasn’t the easiest place to find either, it was on the map we had but it was off the main paved road, down a dirt/grass track and then the road forks and doesn’t look particularly safe for cars unless you have a 4×4 – we didn’t! So we parked at the fork and then walked the rest of the way. The site is well maintained but make sure you spray on insect repellent before you go because it is mosquito heaven there! 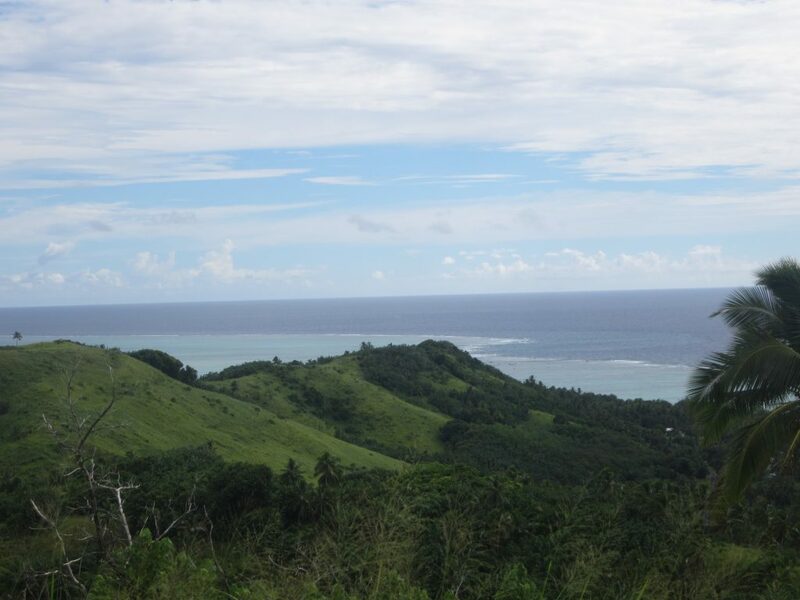 Drive around the island – Hire a car and just drive around the island! We hired a car for one day (expensive!) and just drove around looking at things. 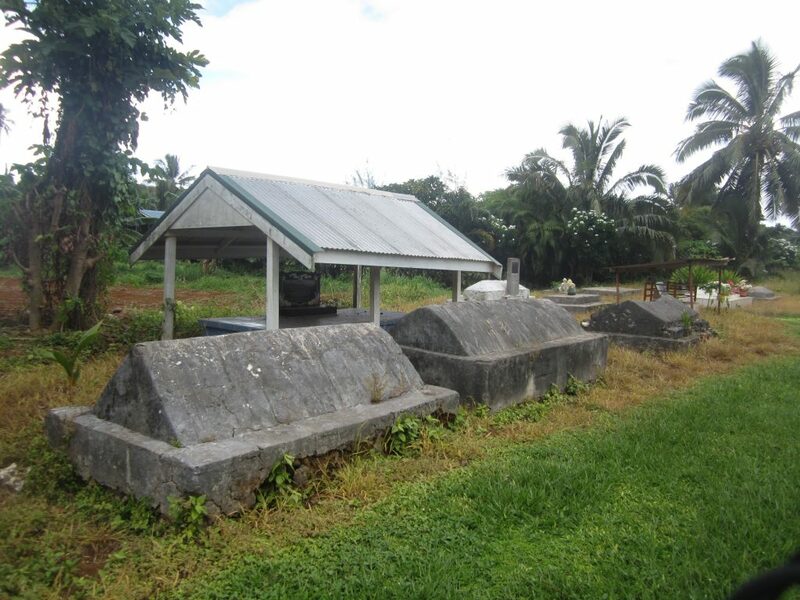 There are a number of derelict buildings on Aitutaki and lots of graves along the side of the road which makes for an interesting look-see. While we had our car, we went to T & S ArtworX which is about the only souvenir shop on the island. They sell handmade pearl jewellery and handmade ukuleles plus a few other bits and bobs. Private Snorkel – We did this tour through Teking Lagoon Cruises as well but from what we found out when we landed on Aitutaki – there are water taxi’s that make the trip out to Maina, Honeymoon and One Foot Islands. Not sure how much it costs, but it was definitely cheaper than booking through the tour company and it’s not really a tour, as they just dropped us off at Maina Island and left us there. They came back for a BBQ lunch which we joined but then we were left on our own again until they came to pick us up. We were hoping to see turtles while we were actually in the water but we lucked out on that one. We did get to see a load of moray eels, porcupine puffers and another juvenile angelfish (our favourite fish, and we only ever seem to see one adult and one juvenile everywhere we snorkel!) and tonnes of other reef fish. 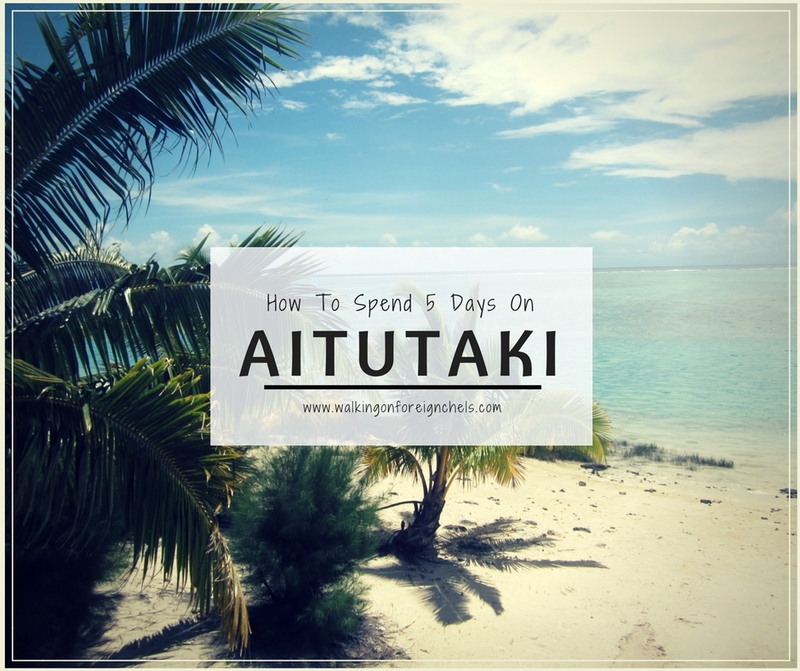 Walk up the highest peak – There are two big hills on Aitutaki and you can drive to the top of one relatively easily but the other one you did need to walk up (unless you can find a road!) though, we did see someone on a motorbike or scooter up there. It’s not a long walk but it was SO HOT!! and steep in parts but about halfway up we encountered a huge crab which came snapping out of the grass and then the cutest and friendliest little calico tortoiseshell kitten. We heard her meowing before she came bounding out of the bushes and rubbing herself all over our legs. 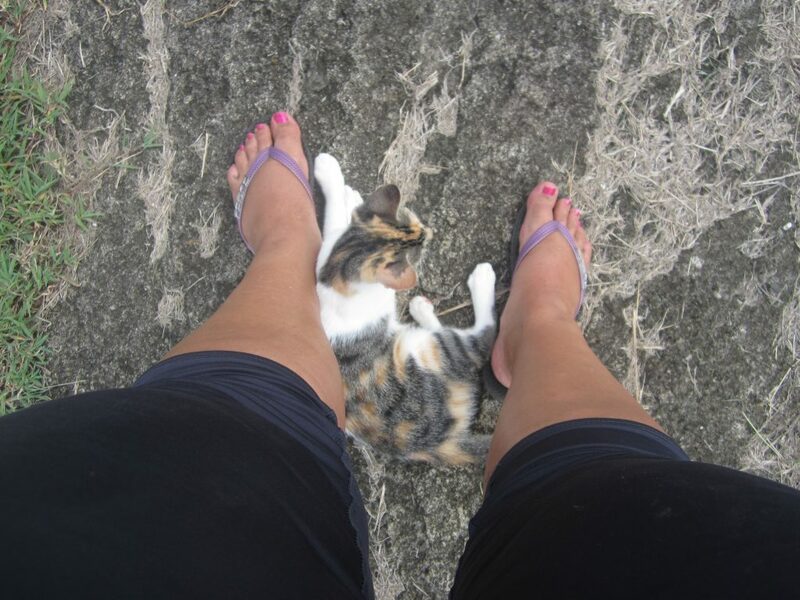 She followed us up to the top and enjoyed the view over the island with us all while smooching and cuddling with us (don’t worry, she belonged to one of the houses on the way up the hill and we returned her on our way back down), we even named her – Aroko, after the bungalows we stayed in on Rarotonga. It’s an amazing view from up there, and definitely worth checking it out. Spend some time at the beach – Go for a walk along the beach and swim in the beautiful, crystal-clear, blue water and take in the tranquility of the place. 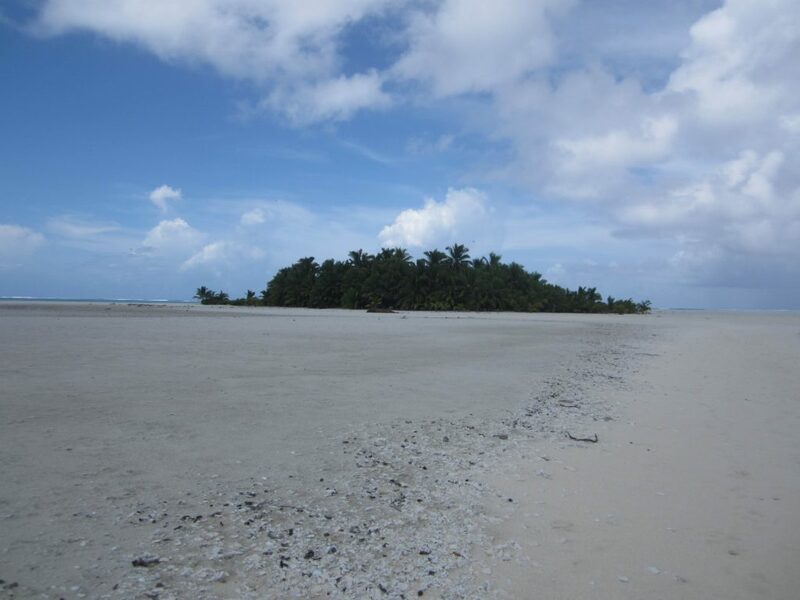 It is so quiet on Aitutaki with hardly anyone else around so you can pretty much have the whole beach to yourself. There are a couple of bars that you can stop off at along the way to refresh yourself as the heat can be brutal! The snorkeling from the beach is not great, not like in Rarotonga and I wouldn’t recommend it – if you want to snorkel, go out to one of the islands. 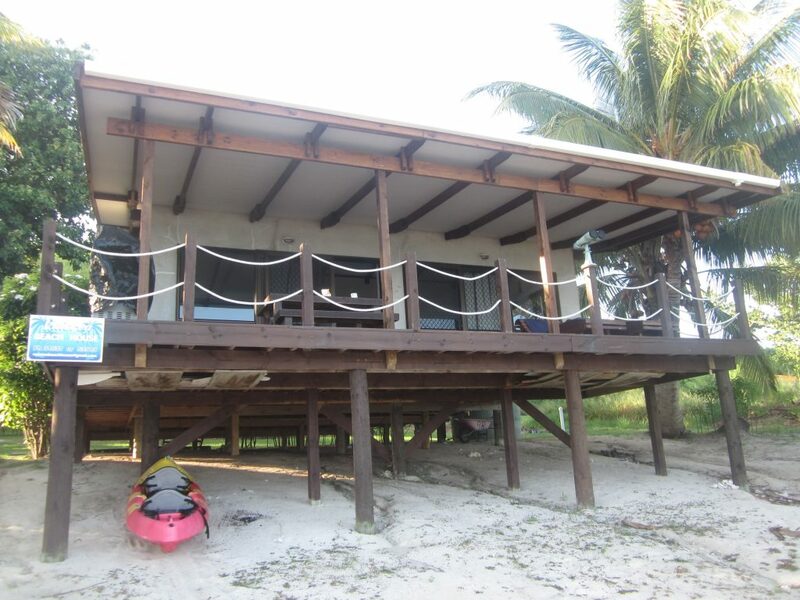 Villa Vaiorea’s Beach House – This place is beautiful! We spent our 5 night honeymoon here and it has the most amazing views over the water, sitting on the balcony every night watching the electrical storms moving around the bay. There are binoculars set up on the balcony to watch the whales during whale season which is from June – October each year, unfortunately for us, we were too early for the whales but it didn’t stop us from trying to find some! It’s self-contained but the hosts were lovely and provided fresh fruit and breakfast food for us. Tamanu Beach – This is also a great place to have dinner. The restaurant looks down over the beach and it’s easy to walk along the beach to reach the restaurant. Food was amazing and not too expensive. 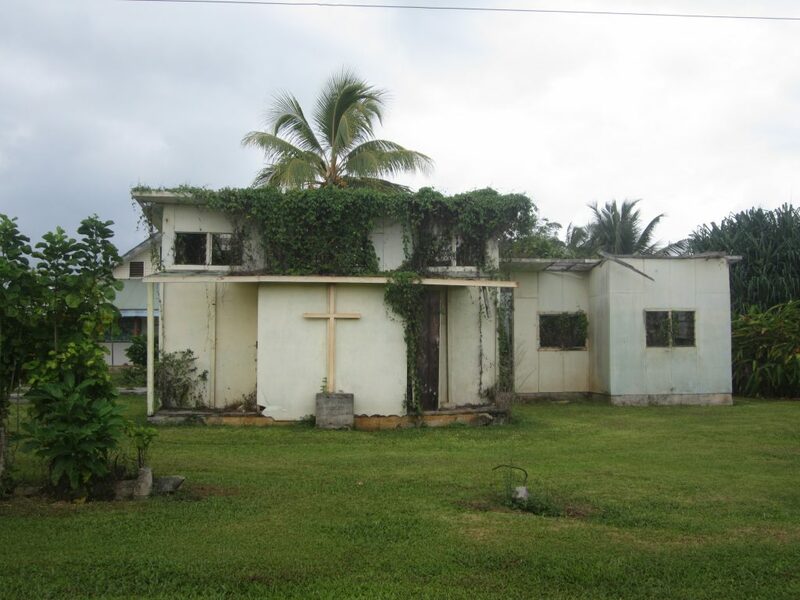 Pacific Resort – This is the sister hotel of Pacific Resort Rarotonga. It is super flash and another great place to eat dinner while looking out over the water. You have to book with the restaurant but anyone can drink and eat at the bar on the beach, you just can’t use the pool – no matter how tempting! 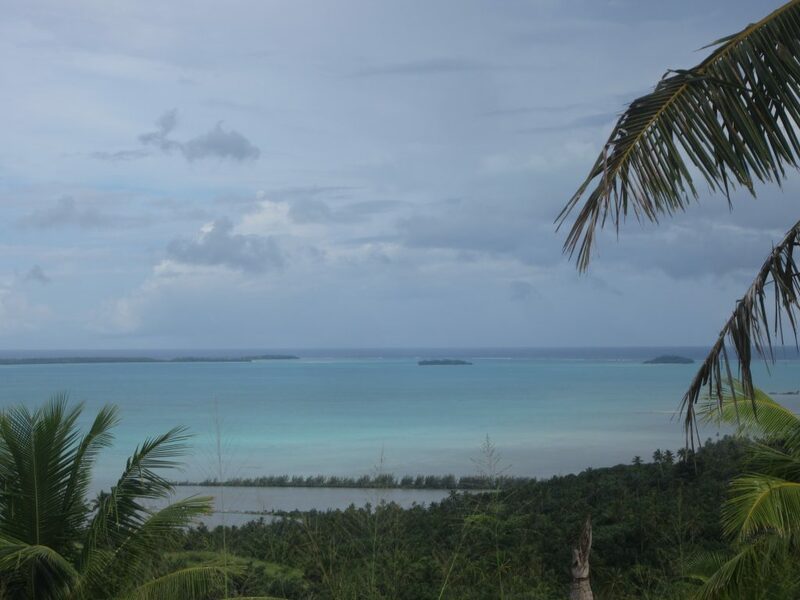 Once upon a time, a Maori Chief decided that the marine life of Aitutaki Lagoon has to be preserved for future generations and so he banned fishing inside its calm waters. Desperate to feed his family, a poor fisherman set out with his son to a little island on the edge of the reef to fish just enough to support his family. Unfortunately, his canoe was spotted by some Maori warriors who reported the sighting back to their Chief. 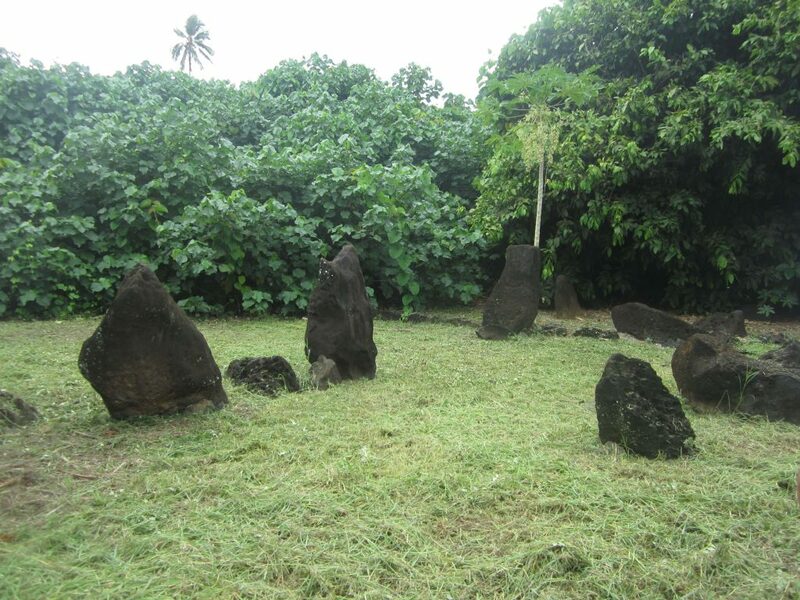 The Chief ordered his warriors to get out to the island as fast as they could and kill the men who had disobeyed. The father spotted the warriors approaching in their canoes and he quickly pushed his son onto the island, telling him to run and hide up a tree. Once his son was safely hidden away, the father walked in his son’s footsteps to make sure only one set of footprints were seen. The warriors arrived and followed the footsteps to the father and killed him on the spot. They assumed there was no one else on the island so they left, heading back to the mainland and to inform their Chief. The son eventually came down from his hiding place and found his father dead on the island. And that is how the island got its name!